I am constantly amazed at how cyclical what’s old becomes new again. Especially how sharing God’s story of redemption during the holidays has been reinvented throughout the ages. In 1847, a French parish priest asked local wine merchant Placide Cappeau to pen a poem for Christmas mass. Famous for his artistry with words, Placide was not as well known for his church attendance. Christmas Eve 1906, inventor Reginald Fessenden debuted a new type of generator that allowed him to speak into a microphone and, for the first time in history, broadcast over the airwaves. It is exhilarating to think that the first words ever transmitted over the air were words from the Bible! And the first song, a song about the birth of Christ! As I think back on history to the unexpected people and exciting new innovations that allowed God’s Word to go forth during Christmases past, it reminds me of the digital innovation Bible App for Kids launched on Thanksgiving Day, 2013. To see that God’s Word was the #1 kids and educational app download on a day such as Thanksgiving has echoes of the night that Fessenden read from Luke 2 and picked up that violin. To see the app reach well over 1 million kids in just six days is simply astonishing. The Bible App for Kids is about to breach 10 million downloads and has been translated into 10 different languages so far, with more in the works. That power and the entrance of God’s Word into someone’s life is what truly affects destiny, transcending time and modality of its delivery. From the printing press, to the airwaves, to the digital age, may God’s Truth and His indestructible Word receive pre-eminence in everything! Rev. David Goundry was born in England before moving to the United States. He uses his abilities to teach, mentor and “prepare those who will go.” He enjoys traveling to many countries with the message of Jesus Christ to the children and youth of the world as well as an “ever-present” on foreign medical missions through International Christian Institute. 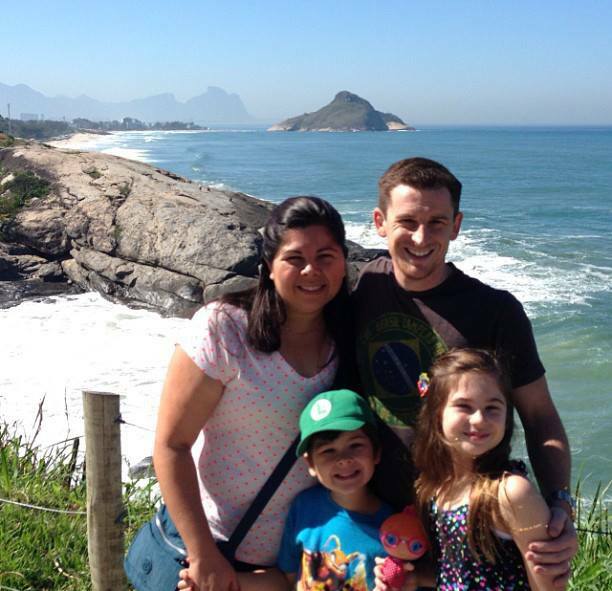 David and his wife Luiza serve together in the music ministry at their church and have two children, Sarah and Samuel.